A heaven for nature lovers, Mapple Corbett Leisure Resort is a 3 star property located on the periphery of the Jim Corbett National Park. 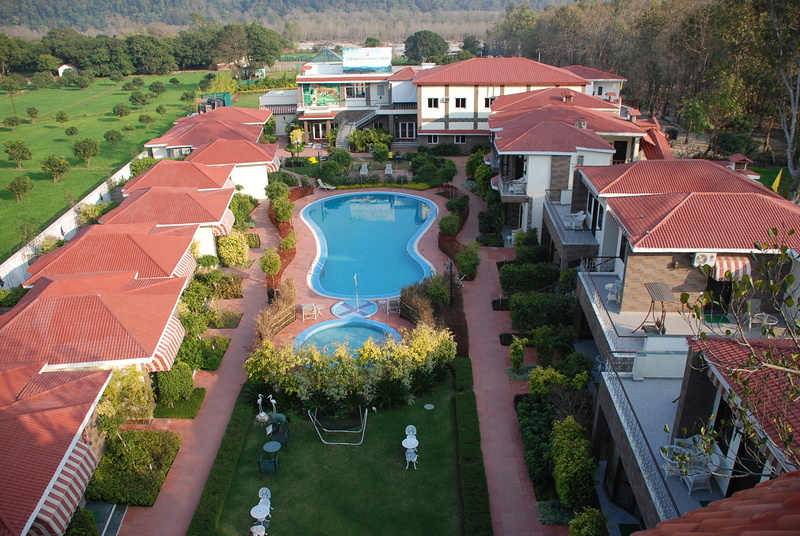 The resort is at a 5.6 km from the Ramnagar Railway Station and 93.5 km away from Pantnagar Airport. 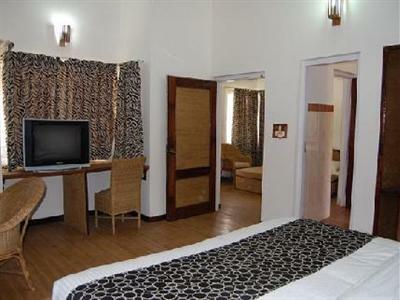 It offers 31 air-conditioned rooms and cottages available in four types- Deluxe Room, Deluxe Cottage, Swiss Tent and Family Cottage. In-room amenities include tea/coffee maker, electronic safe, cable television and mini refrigerator. Guests can enjoy beautiful views of the natural surroundings from the private balconies and privet sit outs. At leisure, guests can energies at the gymnasium, dive into the resorts swimming pool or enjoy various indoor/outdoor games. Other facilities offered include a business centre, concierge, travel desk, kids play zone, laundry, currency exchange, parking and driverAt leisure, guests can energies at the gymnasium, dive into the resorts swimming pool or enjoy various indoor/outdoor games. Other facilities offered include a business centre, concierge, travel desk, kids play zone, laundry, currency exchange, parking and driver dormitory. 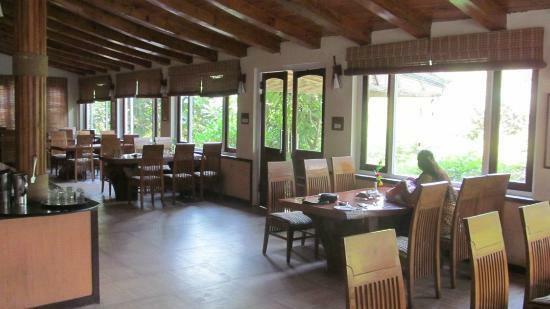 The restaurant in the resort that offers food to please every taste. Guests can also enjoy exotic drinks at the bar that stocks choicest beverages. Additionally, bonfire dinner with barbecue is also arranged by the resort on request. Rendezvous is the on-site conference hall with a capacity to accommodate up to 150 people can be utilized to organised formal events. dormitory. The restaurant in the resort that offers food to please every taste. Guests can also enjoy exotic drinks at the bar that stocks choicest beverages. Additionally, bonfire dinner with barbecue is also arranged by the resort on request. Rendezvous is the on-site conference hall with a capacity to accommodate up to 150 people can be utilized to organised formal events.